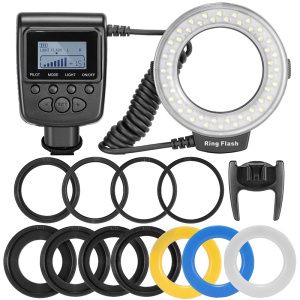 Flash has come a long way in the last few years, and if you haven't kept up with developments, now is a good time to review what modern units can do for your photography. See what and how an LED Light can be used by photographers. Introduction to the various flash modes cameras have. How to use a slave flash. Advice and tips on using flashguns from Mark Elliott. Mark Elliott shares more tips on using flashguns. Mark Elliott shows you how to use flashguns. Lighting photography tips: Removing shadows and using soft light. Understanding the difference between diffuse light reflection and direct light. Tutorial on exaggerating the size of Speedlites. Which type of light in the studio - tungsten or flash? It costs more but there are clear advantages of using studio light over tungsten light in the studio as explained in our beginners guide to studio photography. Words and pictures Chris Burfoot A.M.P.A.